Tree Service Express is Merritt Island's premier Tree Care Company. 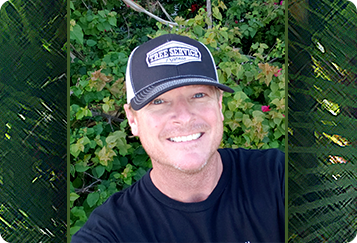 We are the only tree care company in Brevard county with full-time ISA Certified Arborist, Nick Rocco on staff, with the right equipment, crew, Workers Compensation and GL insurances to provide the best in tree care and protection for the beautiful trees of Merritt Island, Fl. Merritt Island homes are fortunate to have many mature oak trees. These trees add beauty and value to the properties in Merritt Island. Proper care of these trees by ISA Certified Arborists is crucial for the preservation of health, adding aesthetic value, and maintaining safety, while decreasing the spread of disease and reducing risk of failure and/or damage to property. Sadly, we have had too many property owners have permanent damage done to their oaks by unskilled, unqualified so-called "tree services". Flush cuts on these trees lead to cavities with decay, blunt cuts lead to decay in tips and "witches brooming" (water-sprouts/suckers) growing heavily at the tips. Lion-tailing is all too common a practice of improper pruning that strips all of the interior growth out of the tree, and pushes the growth out into the tips and the roots, causing the trees to grow tall, spindly and wide. This also stimulates root growth that can damage structure of foundations, driveways, sidewalks, etc. Once these improper pruning practices have been done, it often cannot be corrected and will forever have disrupted the natural growth pattern, as well as caused stress, decay and decline in the trees. Cuts that are not made in the correct place and in the correct way do not have the ability to heal. If a cut does not heal, it will decay. Decay attracts insects and insects are vectors (carriers) of diseases. Too many Merritt Island oak trees are infected with a canker. This canker can spread to other oaks in several ways. Spores can become airborne and enter another oak via a decayed wound that never healed; it can also be spread by pruning tools that have not been sanitized. There is nothing more important to protecting your trees and your Merritt Island property than hiring the ISA Certified Arborist-ran company, Tree Service Express. We specialize in the care and repair of mature live oaks. Tree Service Express' Arborists are also highly skilled at proper diagnosis of diseased trees, and risk assessments to determine the level of hazard a tree poses and when a removal is necessary. We have many happy customers in Merritt Island, and we really enjoy caring for the large oak trees in the area. Tree Service Express has the correct specialized equipment to handle all of your Merritt Island tree needs. Our equipment has the latest, state of the art design with the greatest weight distribution to reduce the impact on your lawn. Our equipment and skilled crew allows us to perform very technical & hazardous tree pruning and removals both safely and efficiently. 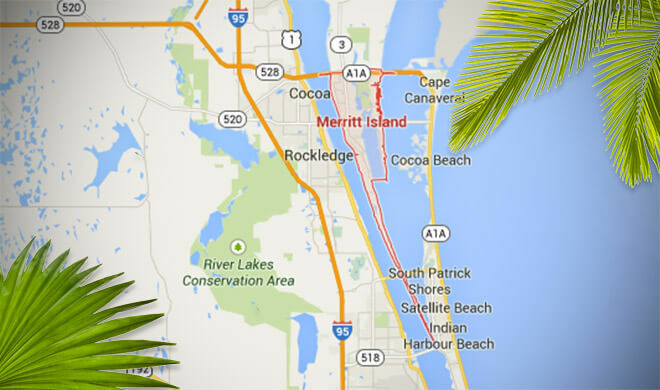 If you have a property in Merritt Island, call us today for a free tree service quote by one of our ISA Certified Arborist. You will be glad you did!